Did you know that the removalist you choose can significantly determine whether your moving will be seamless or chaotic? The process of moving takes a lot of time, energy, and planning. Whether you are moving intrastate or interstate, you will breathe a sigh of relief when you finally get a company that will lighten your all the load on your back. 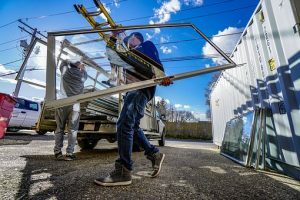 When you need to move from your home to the next or from one state to another, opting to work with a professional removalist is a prudent and affordable decision. If you are looking for a moving company that has a proficient team that will make moving easy and stress-free, look no further, we are the ideal company for you. We have in business for many decades now. We are aware that if it were not for our ever-growing clientele, we wouldn’t have made it this far. For this reason, we value our clients, and we treat them like the most critical stakeholders of our business. Through the years we have served as movers and packers in Australia, we have crisscrossed all the major cities; hence we know the terrain like the back of our hands. When you call us, therefore, we shall neither ask you to give us the GPS coordinates to your home nor will we track your phone. All we need is your home or office address, and we shall be there to give you the best moving experience in no time. If you are yet to be convinced that we are the best removalist in the city, here are some of the reasons why we have become one of the best movers of all time. We are aware that most of the goods you want us to transport are precious and you cannot afford to have them lost or damaged. For this reason, we have different insurances, which guarantee full compensation in case any mishaps happen to your items on the way. You can, therefore, have peace of mind when working with us. We meet all the licensing requirements stipulated in law, and we shall give you the file the moment you get into our office. When working with us, you can get comfortable knowing that you are dealing with a mover who is recognized by law. We are rated highly in various review sites, and our previous customers talk good about us thanks to the outstanding services we have provided throughout the years. This is the reason why we have been able to get repeat business over and over again, not forgetting the client base that is significantly growing every day. We do everything we can to maintain our good name, and this is the reason why we shall work extra hard when you sign a contract with us so that we can ensure you come back to us or refer us to your friends, family members, or colleagues. We are fully accredited by the Australian Furniture Removers Association, and this is another big reason why you should trust and rely on us as a professional removalist company that will never let you down whenever you need to move intrastate or interstate. We follow a strict code of conduct in all our undertakings, and this explains why we have never been involved in any malpractice in all our years of service. When you need to move from one house to another, whether it is in the same neighbourhood or not, you need a removalist with industry knowledge and experience to meet all your special needs. The reason why we are the ideal local area mover is that we can move all belongings securely including pets, pianos, and furniture. We have moved thousands of residential clients in the city; therefore no task is too big or too small for us. Our expert residential movers will always have a solution that suits your budget regardless of how complex your moving is. We help our clients move from one state to another with the knowledge that this undertaking can be daunting. We meet all the licensing requirements by different states in Australia; therefore you will never find yourself on the wrong side of the law during transit. Stressed about moving your car to your new state? Don’t worry! We shall affordably move your car, and what’s more, we shall assist you to get clearance and documentation on arrival. If you feel that you will not be ready to settle with all your belongings when you get to the new destination, we offer safe storage services. You can come for your items once you are fully settled, or better still, we can bring them right to your doorstep. Your business is as essential as your home. 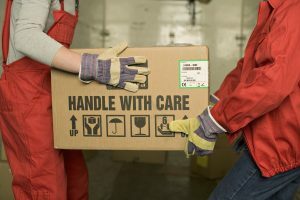 Therefore, you should proceed with care when selecting a removalist when you need to move your office equipment. We have a team of specialized office movers who use specialized equipment that ensures your office items are securely moved while guaranteeing zero interruptions to your routine business operations. Even when you are preparing to move, we know that the office needs to be operational. For this reason, we shall not dictate when to move your office items. We move when the time is convenient and suitable for your business. Flexibility is one of the main reasons why we are one of the most recommended office removalist town. Grab a free quote now! Whether you are moving home, office, or you are transferring to another state, call us for a quote or request for a callback, so that we can discuss how we will help you convert your relocation a pleasurable experience you will live to remember.